Trump: "President Putin was extremely strong and powerful in his denial." 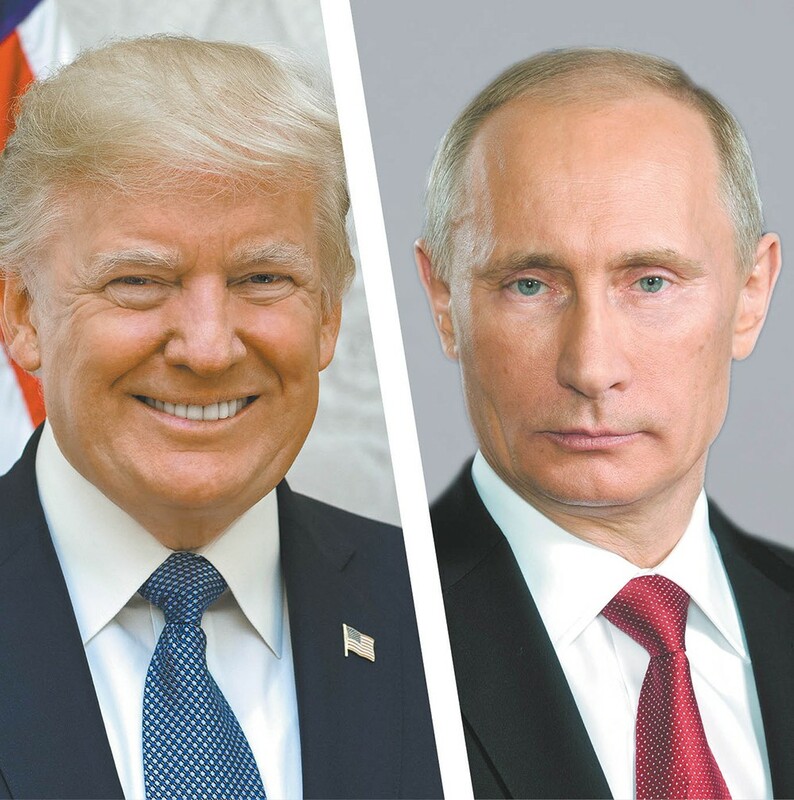 In a move that stunned people on both sides of the aisle, President Donald Trump stood beside Russian President Vladimir Putin at a press conference Monday and took Putin's word that Russia did not meddle in the 2016 presidential election. Just days earlier, Trump's own Justice Department indicted a dozen Russians on charges that detail explicit attempts to influence the election. The Associated Press asked Trump if he would denounce that interference and warn Putin not to do it again now that all U.S. intelligence agencies had found evidence of meddling. After a meandering answer, Trump said he had faith in "both parties." That led to swift criticism from Republicans and Democrats alike, who quickly took to social media. Obama's former CIA Director John Brennan called Trump's comments "nothing short of treasonous" and Republican Sen. John McCain said it was "one of the most disgraceful performances by an American president in memory." "Russia is not a friend to the United States or our allies. There's no question that they meddled in our election, and all evidence points to Putin's direct involvement," Rep. Cathy McMorris Rodgers says in a statement on her Facebook page. "In order to put America first, the President must hold Russia accountable for their adversarial actions and their continued efforts to undermine our democratic institutions." Her Democratic challenger Lisa Brown said on Twitter, "I support the findings of U.S. intelligence agencies that Russia interfered in our 2016 elections. The most important question right now is not what the president said, but if House GOP will stand up to him. Congress must not just talk, but act to prevent future election interference." After the backlash, Trump attempted to walk back his comments on Tuesday, claiming that when he said he didn't see any reason why it would be Russia that tried to meddle, he meant to say "why it wouldn't be." He also said it "could have been other people also." The original print version of this article was headlined "Putin on a Show"